It started with an innocent question in World of Warcraft’s trade chat: “What would you do with 200,000 gold?” Among the various responses, a player said that he’d like a Vial of the Sands to give to his friend. The vial actually gives the player a Sandstone Drake flying mount, one of the more difficult-to-obtain mounts in the game. The story doesn’t end there: The asker of the question then tracked down the guy who answered and delivered the super-expensive vial into his hands. When the donor found out that the mount was for the guy’s friend, he bought and gifted a second mount so that the two friends would have matching rides. The reason for the generosity? “I wanted to make someone’s day,” the donor said. Not to sound bitter, but I am not sure whether the “hero” tag and the whole “reporting the story on both Massively and Wow Insider” is really appropriate. Who knows whether his intention was to do something insanely nice? Yes, of course, its nice for the guys who got the drake, but I am not sure this was really an act of altruism or just someone who was giving away his money because he was sick and tired of WOW. I have seen loads of players giving away gold. Maybe not 200K to one player, but thousands of gold to random strangers just to get rid of it. What saddens me is that a story like this gets such a huge response, so much attention…but its fitting, because something like this IS rare in WOW. One of the reasons I didnt enjoy the game anymore was the sick behaviour you’d see in LFD, LFR, trade chat, node-ninjaing, whatever. What’s in WoW’s item store? We’ve updated our Trading Card Game art gallery to feature ten new pieces. Each image is taken directly from the official World of Warcraft Trading Card Game . 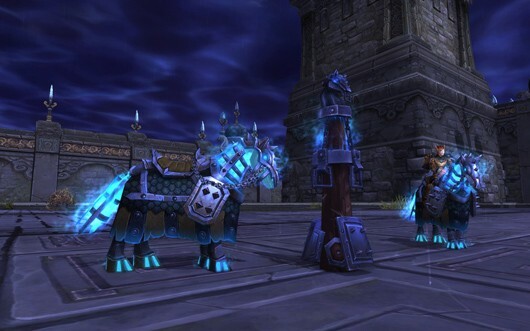 We’ve added more pieces to our World of Warcraft: Mists of Pandaria Art gallery. Have a look at assorted pieces of stunning artwork that reveal an all-new look at the wonders of the Warcraft universe. Last but not least, we’ve added a new community comic to our gallery submitted by Ditzi (Ruthless Crusaders). Want to get more wow gold here. We’re looking for original comics focused on the Warcraft, Diablo, or StarCraft universes… and we want you to create them. Each month, we’ll review your submissions and select one winning comic to receive a prize. We’ll also choose several honorable mentions; winning entries and honorable mentions will be displayed on our comic pages for all the universe to enjoy. You can learn more details about the prizes, read the complete official rules, and submit your comics here.